See through your users eyes and make data-driven design changes. What’s it good for? It depends on your goals. If speed of analysis and getting information is your top priority, then eye tracking is your go-to tool. 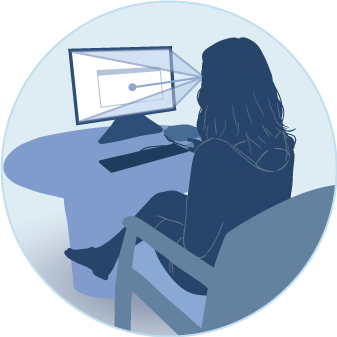 Ultimately, if you want to add more hard science and credibility to your usability tests, eye tracking can strengthen your design research efforts. A biofeedback approach to understanding how users interact your Desktop/ Web/ Mobile design. Tracks eye movements and gaze patterns. Use to make your designs more intuitive. Reduce risk of deploying a design with poor usability. Gain insight into how your design is performing. Watch how your customer’s mind works (with your design). Pinpoints weak or distracting areas of your creative. Optimize conversion and user adoption/engagement. Eye-tracking for digital applications. Eye-tracking for advertising or creative. Eyetracking test report. Heat maps, Gaze plots. Includes design recommendations. Heat maps help show what exactly draws the most attention or what users miss. Gaze plots let you understand where eyeballs fixate specifically. At the wireframe UX design stage. When you have developed creative (PhotoShop comps). When visual design drafts are complete. Validate your creative with evidence based (empirical) user feedback. Manage client relationship/ approval process by pointing to tested data (How your creative tests with audience). Introduce behavioral research into your creative process (good UX means involving the U in UX). 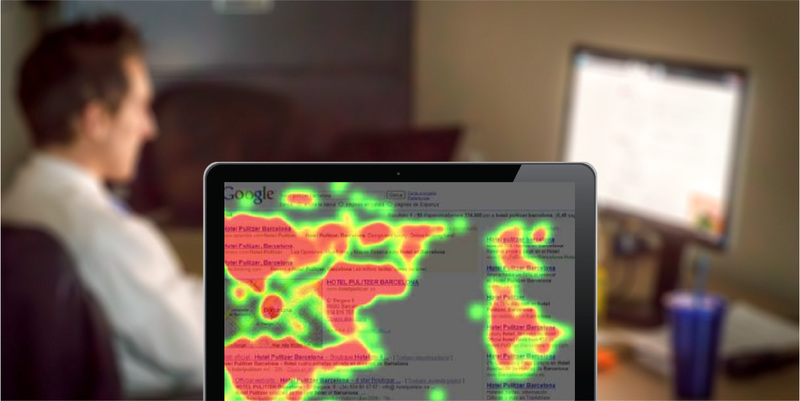 Eyetracking is the most effective process for tuning up visual design and getting empirical about your UX.